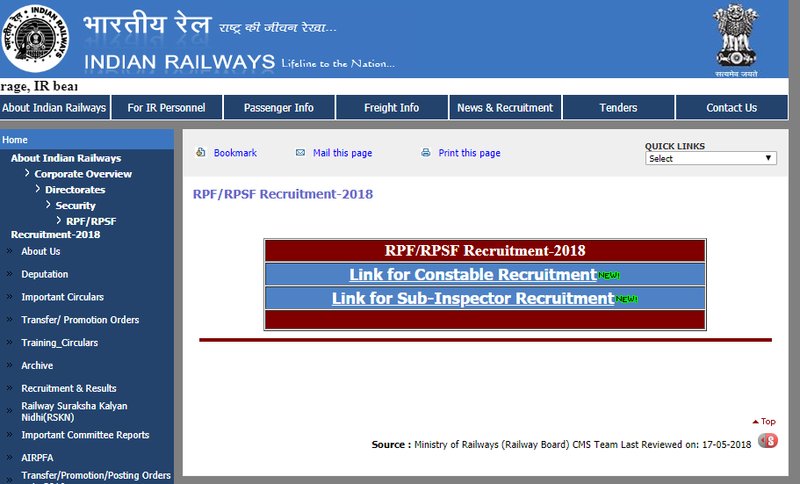 RRB Railway RPF Sub Inspector Recruitment 2018: Railway Protection Force will recruit Male and Female Sub-Inspector Posts for Railway. 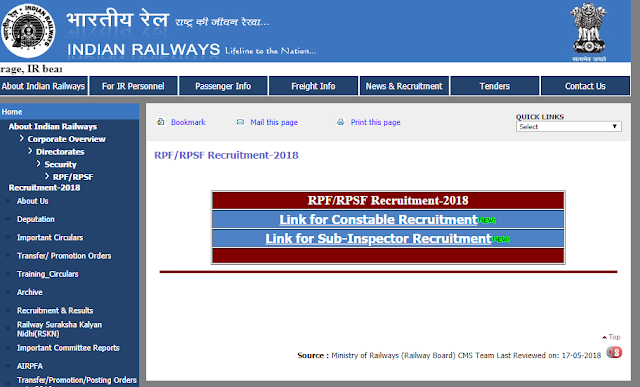 However, RPF SI Recruitment is under processing and it is expected that the detailed notification of RPF SI Recruitment 2018 will be in Employment News dated from 19th May 218 to 25th May 2018. 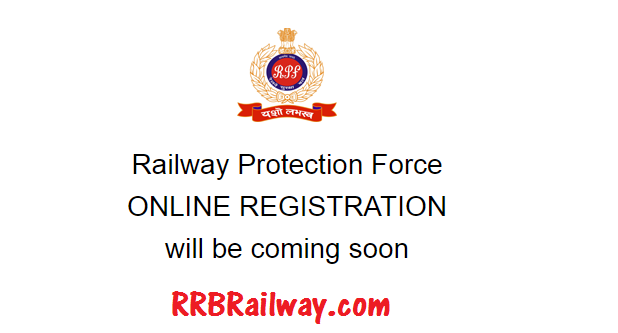 We are here with complete details about the RPF Recruitment 2018 for Sub-Inspector(SI) and Constable posts. · The Board will soon release the Application Fees details on the Official Notification. · The Application Fees can be paid either offline or online. NOTE: 10% of the vacancies are reserved for Ex-Servicemen as per the Government Instructions. 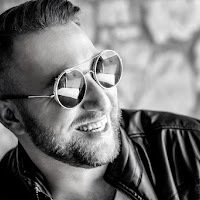 · Click the direct link below. · Select the regional office you may want to apply for. · Fill all the necessary details. · Upload the scanned photograph & signature. · Alternatively, you can go to the Official Website of Railways. · Follow steps 2 to 4. Note – The direct link will be active soon.